The patients in every busy practice, clinic, hospital, or facility do not come in one size. Oftentimes this leads to complicated cuff sizing, over- or under-ordering, and confusion among the staff and within the facility. 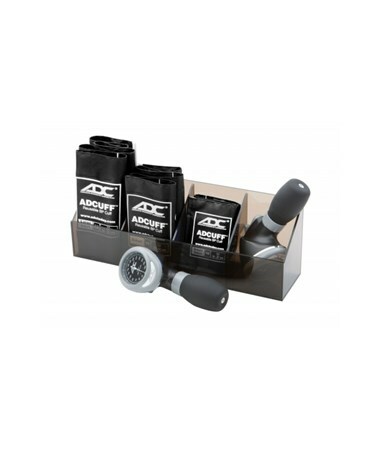 ADC's General Practice and Pediatric Multicuff Kits, Models 705GPK and 705PMK, provide a simple solution to cuff confusion in practices. 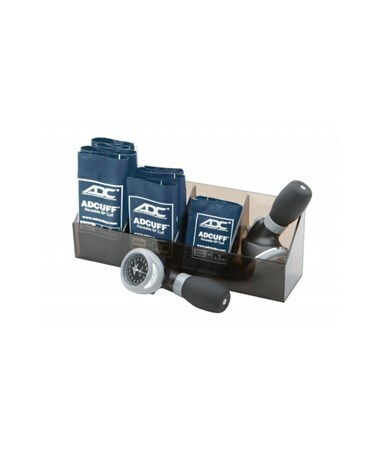 The Multicuff Kits include a high-quality manometer and three cuffs in different sizes to fit every patient, conveniently packaged in a four-section plexiglass tray. Cuffs are color-coordinated and clearly marked to avoid size confusion. The Pro’s Combo III Palm Aneroid Kit features ADC’s Diagnostix™ 804 Palm Aneroid, an attractive, comfortable, virtually indestructable aneroid. The gauge's Japanese-engineered movement has been tested to 50,000 cycles, over 5 times the requirement under ANSI SP10! It boasts a versatile trigger-style ergonomically advanced design for ultimate comfort and easy, ambidextrous use. Its luer slip connector and integrated inflation system allow for maximum simplicity and speed in cuff changes and one-handed use. A four-section, smoke-gray plexiglass tray keeps all cuffs at arm's reach while differentiating between sizes. It includes one compartment for each size cuff plus one for the aneroid. At only 14" x 3.5", it takes up very little space on a desk and can also be wall-mounted with included hardware. 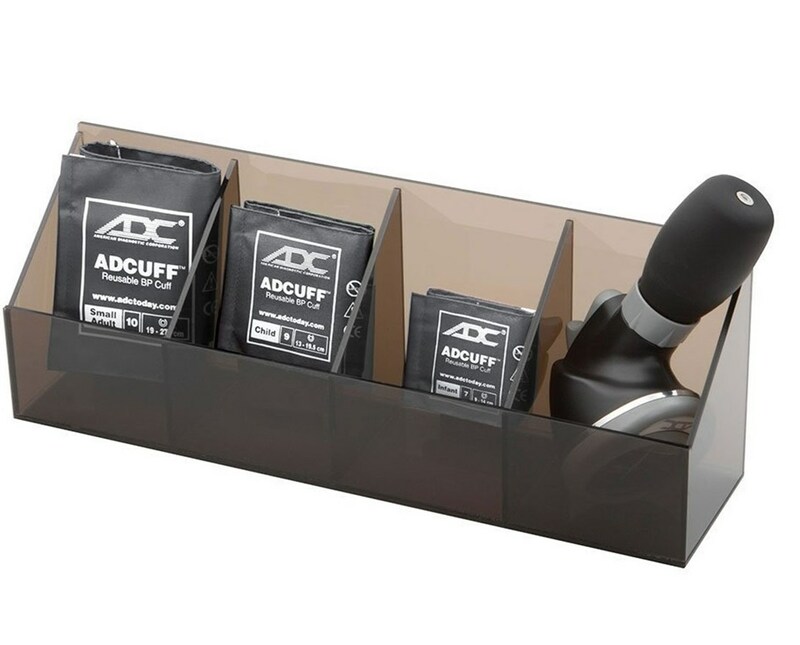 The included AdCuff™ latex-free nylon cuffs boast the innovative Size Guide™ marking system to prevent mis-cuffing. 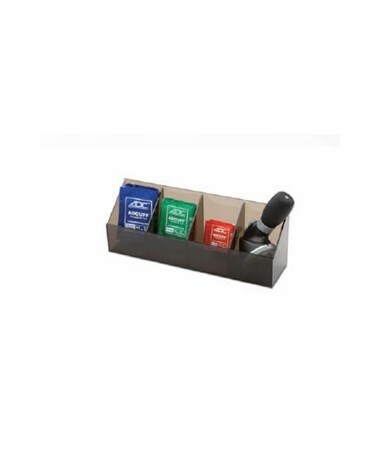 Choose from a variety of colors and sizes to suit every practice's needs: general practice kits include a small adult, adult, and large adult cuff, while pediatric kits include infant, child, and small adult kits. The kits are available in monochromatic and multicolored options; order it with three black cuffs, three navy cuffs, or different colors for each size. Multicolored options include an orange infant cuff, green child cuff, small adult royal blue cuff, adult navy cuff, and large adult burgundy cuff. 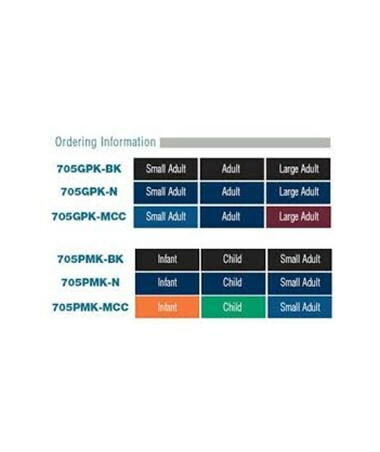 View color choices in the chart below, then select a kit and color from the drop-down menus at the upper right corner of this page. 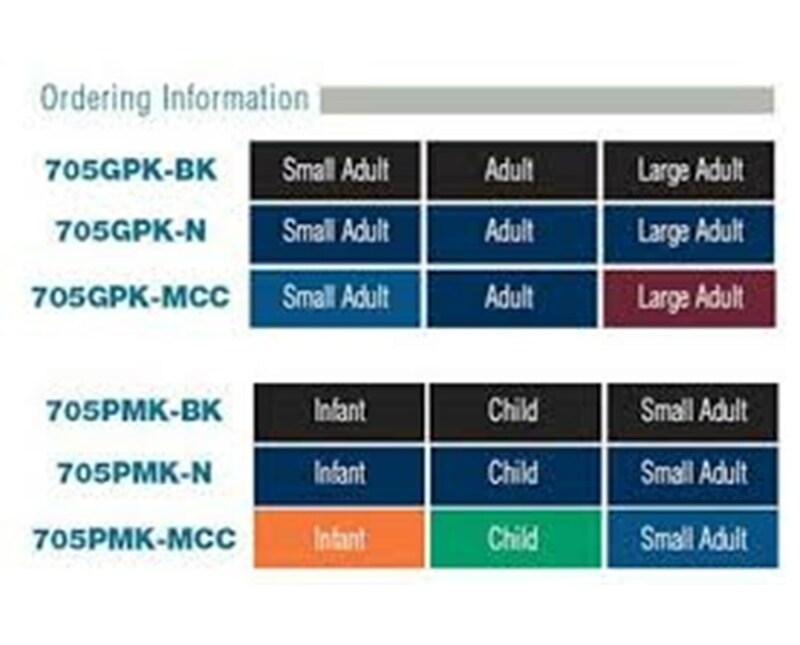 Note that items bearing the code 705GPK are general practice kits, and those with the code 705PMK are pediatric kits. The suffix -BK corresponds to black, -N to navy, and -MCC to multi-colored cuffs.